At Rivers and Ridges you will meet with your wild side. Covering a large part of Asia, the Indian sub-continent is a huge country to explore. It is fringed by the Arabian Sea, Bay of Bengal and the Indian Ocean. Within India itself, there is a choice of 28 states to visit and the terrain is vast and varied. India is an exciting travel destination, displaying diverse cultures, vast cities coupled with small friendly towns and a host of escape destinations into the many national parks and forests, offering something for every visitor. There are a total of 23 mountain ranges, over 200 natural lakes and 98 major rivers in India. Due to the vast size and varied terrain, the flora and fauna found in India is diverse. In the last 15 years we have secured tie-ups at many such locations that offer the best outdoor experience. Since we are headquartered in Pune City, we have the major locations in the Western Ghats covered under our belt. Our locations are secluded from other tourist locations that are always crowded and full of shops and hawkers. As far as Fauna, India is home to majestic top predators like Tiger, Leopard, Black panther, Sloth bear, Asiatic Lion and other majestic animals like the Asian Elephant, Water Buffalo, Bison, Sambar, Spotted deer, Barking deer and a variety of birds and reptiles. We keep distance from deep forest reserves, however there is a lot of wildlife that you will encounter on our excursions, which are mainly done by foot. Studying the biological cycle of the animals and birds we know the best timings to site these critters. There are chances that you will see Barking deer, Panther, Wild jungle fowl, Flying squirrel, Wild boar, Jackrabbits, common snakes, Scorpions, Spiders, Frogs, Monitor lizard, Peacocks, Civet cats, Owls etc. We educate you on their behavior so that, we as visitors and guests do not pose threat to their natural habitat. We provide resort amenities and plenty of outdoor adventure during our excursions. 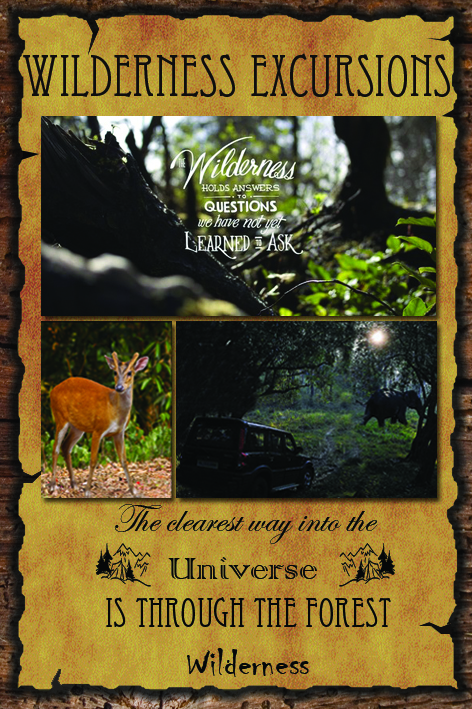 Follow our facebook page www.facebook.com/riversandridges to know about any upcoming wildlife excursions.